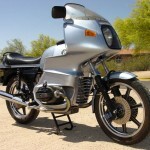 Designed by BMW’s first stylist Hans Muth it’s hard to believe that there was only a 3 year deference between the R90S and the R100RS. 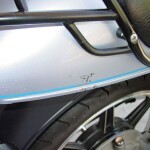 The RS fairing is something that would cover the rider from head to toe, a change from the iconic bikini fairing. 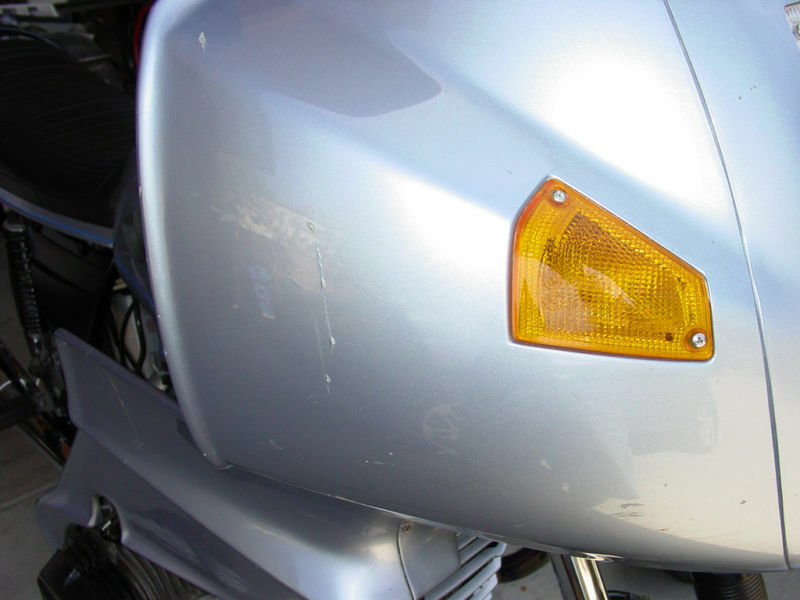 With wind tunnel testing, the angles and sharp edges of the fairing block the rider from the wind and create down force while giving a drag coefficient of .571 compared to the .627 with no fairing at all ( A modern Hyabusa appears to have a .467 drag coefficient). This combined with the 980cc engine producing 70hp@7250 rpm would push the bike and rider to an estimated top speed of 108mph. 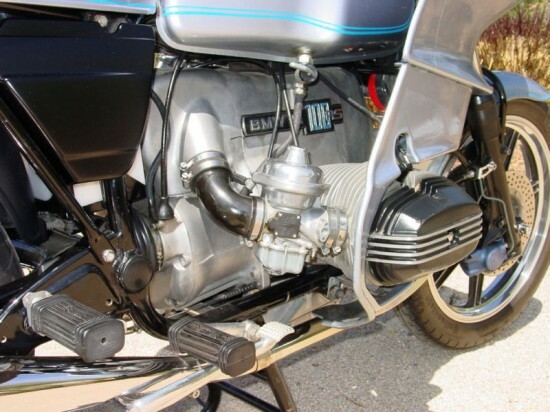 Some of the first year bikes were stamped “CFO” and came with 38mm carb/exhaust and were destined to go to the stricter emission states of California, Florida and Oregon. 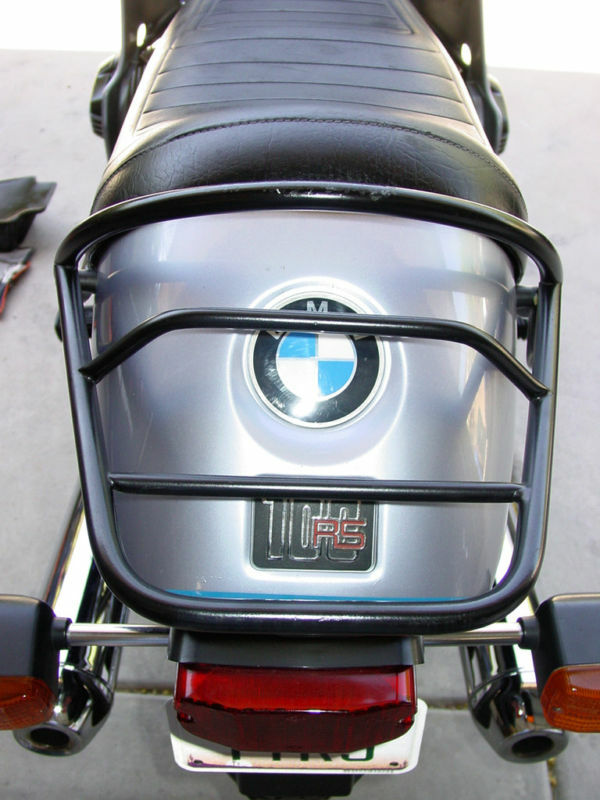 Because the 40mm intake/exhaust heads were offered for limited years, they are coveted by BMW riders looking for more power. 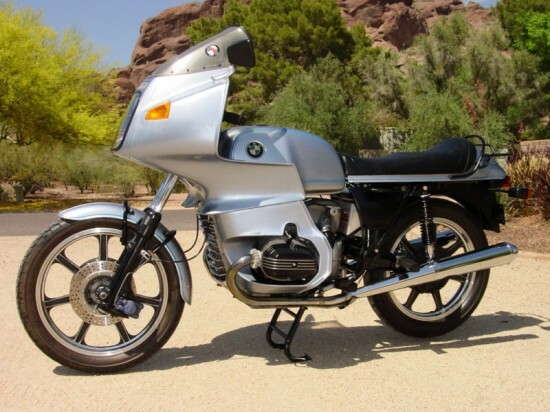 This is a very nice 1977 first year matching numbers BMW R100RS. 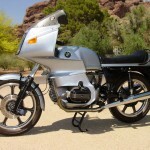 1977 was the first year of the R100RS and this is one of the first 200 manufactured. 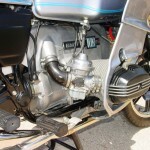 As such, it came with 40mm carbs and 40mm high performance exhaust (later production had the lower performance 38mm exhaust). It also has the original fairing tag that was only on the first 200 units (very rare to find this in unblemished condition). 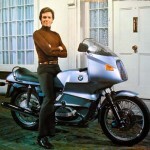 The bike is a true collectable piece of BMW history. 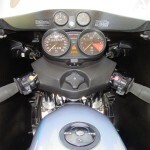 The bike has a little over 51,000 actual miles. I’ve owned it for about a year and put a grand total of about 1500 miles on it since I’ve had it. 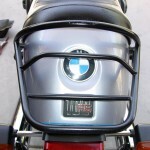 The bike is a very nice example, but is NOT perfect, so let the pics speak for themselves. I just have too many toys, so this one’s got to go. I did a tune up (new points, plugs, condenser, air filter) and an oil and filter change when I got the bike so it is new throughout for all intents and purposes. 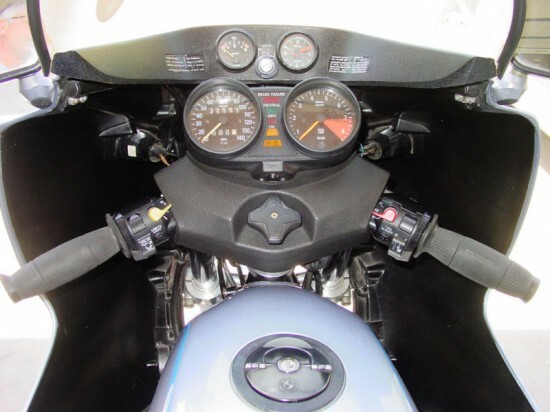 The bike starts easily, idles nicely and runs very well. I put a new Yusa battery in it a few months ago and keep it on a battery tender. 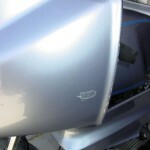 Rocker covers are nice, but do have a few minor scratches (see pics). Clutch works fine and transmission shifts nicely. Exhaust is OEM BMW and in very nice condition. 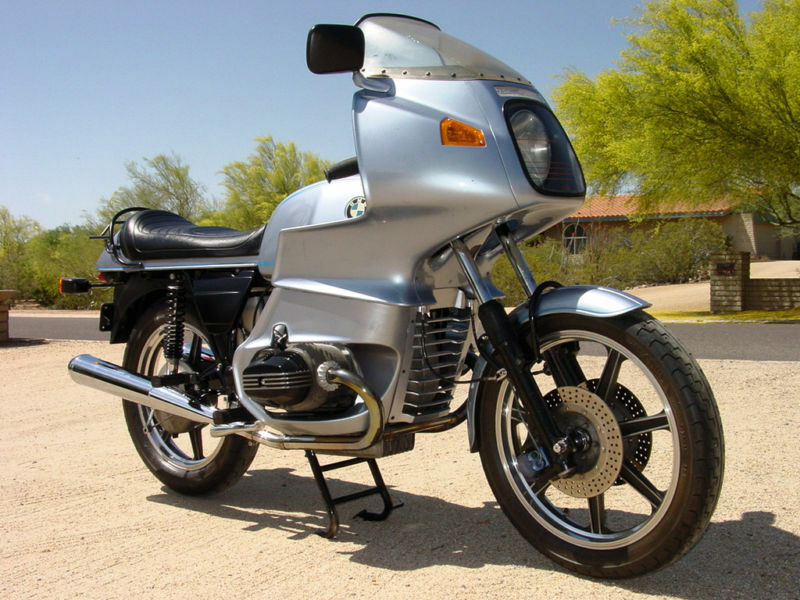 I installed an NOS set of BMW 40mm mufflers on the bike when I got it (rare as hens teeth – a used set just sold on eBay for about $350!). The bodywork is quite nice but does have a few scratches here and there, but no cracks or structural issues that I can see. I have tried to take pics of the significant blems. 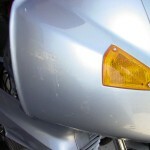 The paint is generally in very nice condition. The windshield is original OEM BMW but is cloudy and should probably be replaced. Ignition, fork and neck locks all match and work, but I only have the one original folding key (getting copies made should be no sweat). The gas cap seals well and does not leak, but it does rattle a bit (common issue on 70’s and 80’s era airheads). Seat is OEM in OK condition and has one minor tear about ¾” long at the very front under where it folds under the seat pan. You cannot see it unless the seat is up, but know it’s there. 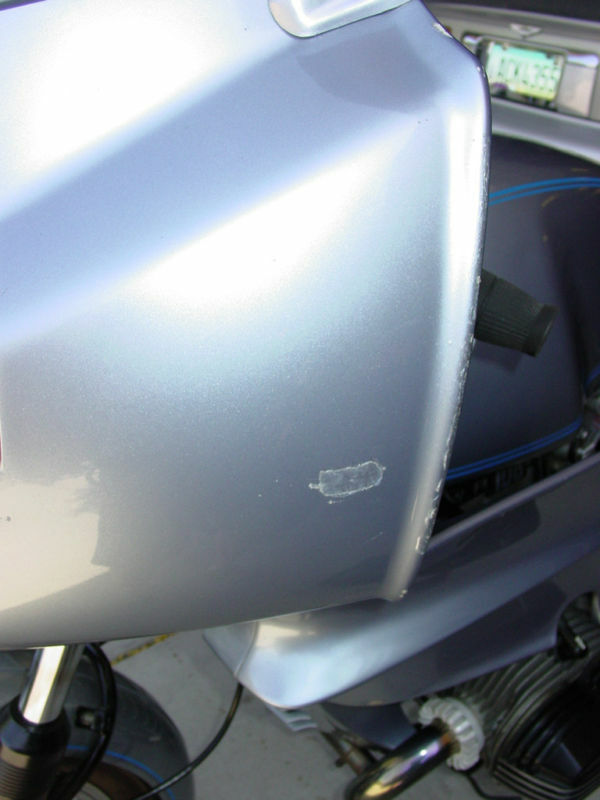 The cover is beginning to show its age a bit and has lost some gloss (see pics), but should service well for a while more. There is some rust on the seat pan, but it looks like the pan was cleaned up and repainted before I got it. Wheels are period Lesters in outstanding condition – the nicest I’ve seen in a long time. Tires are nice nearly new Conti Blitz’s (4.00×18 rear and 3.25×19 front) that the previous owner installed just before I bought the bike. They have plenty of miles left! Brake lines are very nice braided stainless steel with black covers. Calipers still have original blue color. 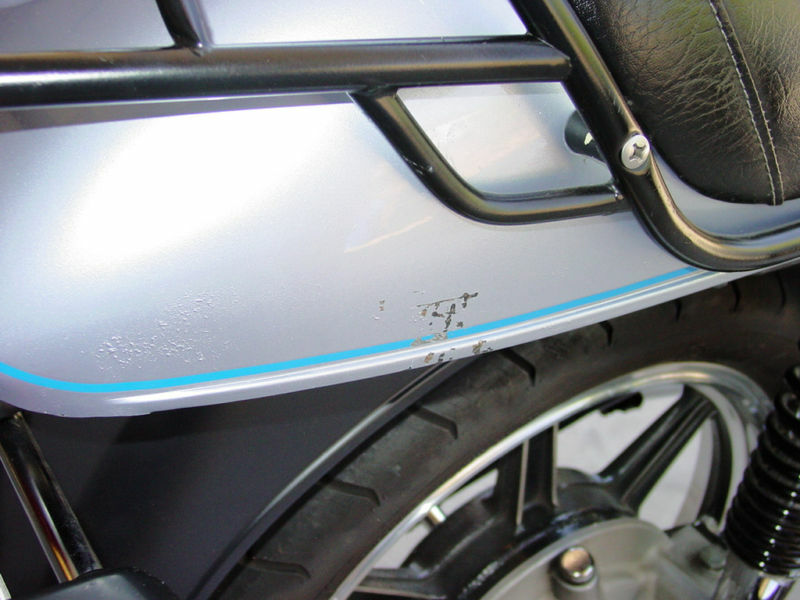 The OEM front fender brace was replaced with a period San Jose fork brace to help firm up the front end. Rear shocks are like new period Konis. What you see in the pics is what you get. 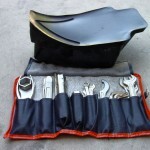 The bike does not come with bags, but I have a set of NOS Krausers with mounts (period correct) that I will offer the buyer at the end of the auction for an additional $600 if interested. 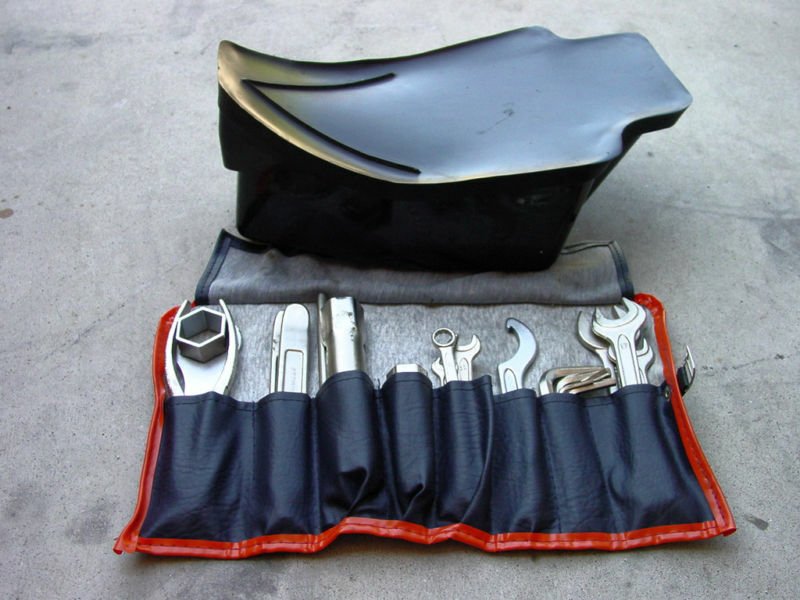 I also have a very nice ¾ seat/cowl that matches the bike that I will offer to the buyer at the end of the auction for $500 if interested. They are not available separately. 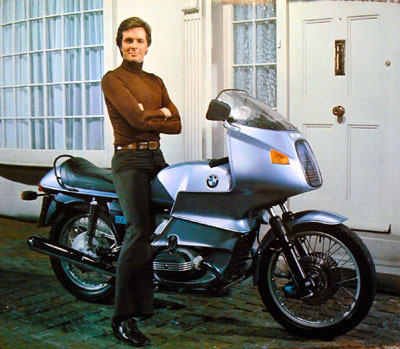 Overall this is a great example of the first year of a new design, and understandable that the R100RS became the motorcycle in the Return of the Saint TV series, a cool bike to get the ladies, and for what ever else the Saint must have done.